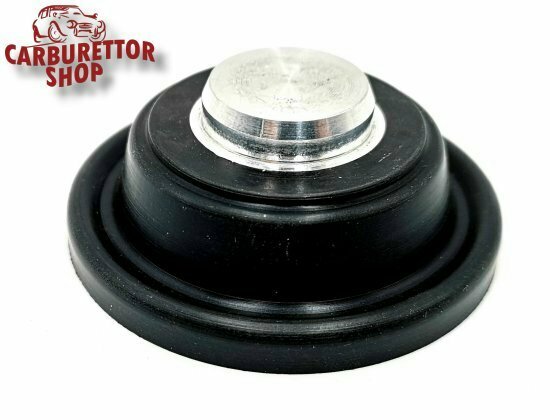 Vacuum Diaphragm for Solex INAT carburetors. This diaphragm is part of assembly number 54 in the drawing but please note that the item here for sale is the diaphragm ONLY as depicted in the photographs. The diaphragm has M3 thread for the command rod. 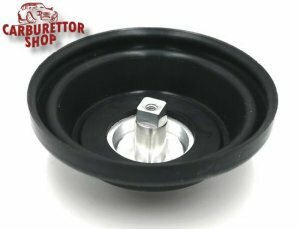 Please verify carefully if this will fit your carburetor. This is part of Number 54 in the drawing. 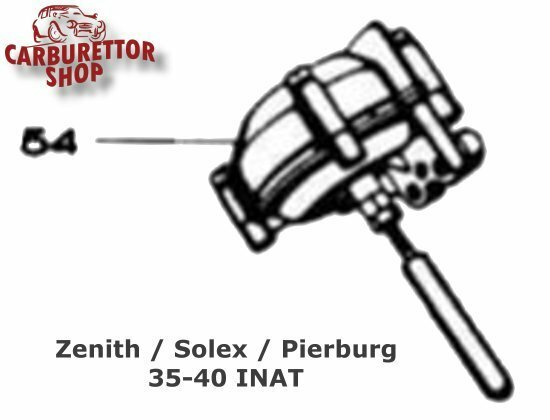 Please note that the Solex INAT was also produced as Zenith INAT. 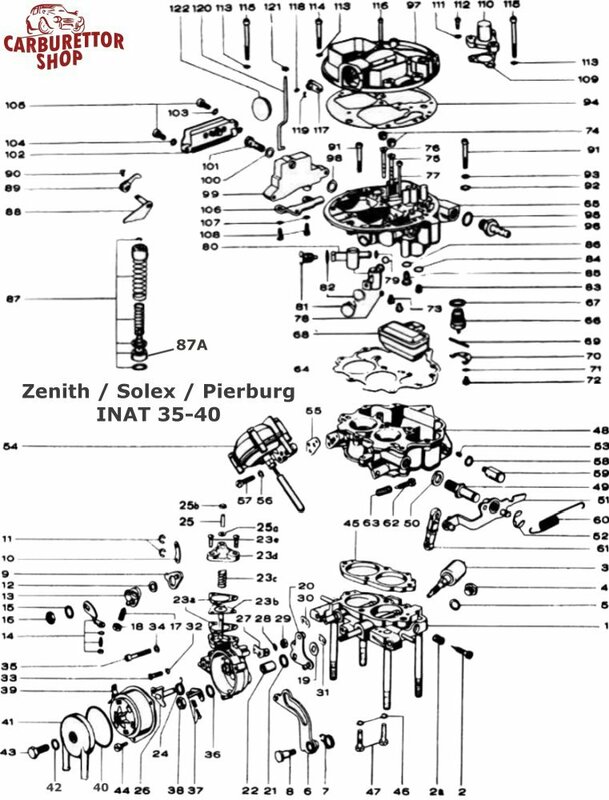 The Zenith INAT can be found HERE.